The Inauguration of the first Dartmouth Lifeboat took place on 23 Oct 1878. She was named Maud Hargreaves. Miss Maud Hargreaves was the deceased daughter of Mrs Emma Hargreaves, who lived in Claygate, Surrey. The lifeboat was named by a friend of Mrs Hargreaves, Mr Walter Austin. The Lifeboat House was built at Sandquay by L C Pillar & Co, having been given the contract in early July. 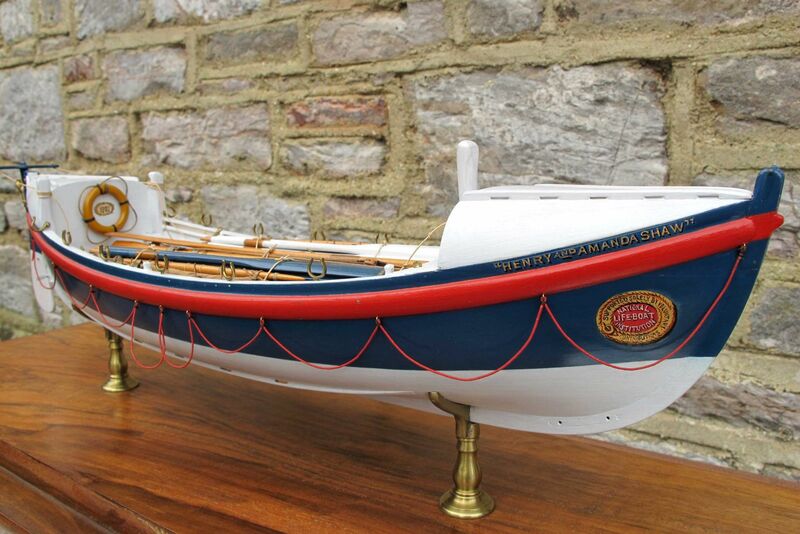 The ten oared lifeboat was built by Messrs Wolfe & Son of Poplar, London. The 33ft x 8½ft boat had a harbour trial on the Limehouse Canal, London. She was a self righting boat with a self water ejection system. The boat arrived by rail at Kingswear on 22 Oct.
Mrs Hargreaves and Mr Austin arrived at the Castle Hotel on Monday 21 Oct. The Lifeboat was launched from the slipway on the New Ground that had been built by Redway and Sons. Whilst passing Sandquay they rescued a twelve year old boy who had fallen in the water, to the cheers of the watching crowd. The President of the Lifeboat Committee was Chas. Chalker – Post master. Capt Charles Lewis, the ex-Captain of the Dartmouth Steam Ferry Company cross channel ferry Eclair was in command. The 2nd Coxswain was R Witcher. W Dodd, W Wright, J Memery, Albert Sims. Extra men: A Collins, T Matthews, Benj. Scantlebury, R Tulley, J Bumber? and R White. After ten years the lifeboat Maud Hargreaves was replaced by a new twelve oared sailing lifeboat Henry and Amanda Shaw. She was 34ft x 8ft and had a new water ballasting system. In 1891 it was reported that there had been no practice in bad weather and they had failed to answer a call because no crew could be mustered. On 11 January 1894 she attended the Brixham ketch Prince of Wales stranded near Kingswear Castle. A tug had taken the vessel in tow and was heading back to the harbour when the lifeboat arrived. Four Dartmouth lifeboatmen boarded her and assisted at the pumps enabling her to be safely beached one hour later. During the summer months the lifeboat was housed at Sandquay. In the winter the boat was kept at moorings in Warfleet Creek. In the eighteen years that there was a RNLI lifeboat in Dartmouth they only launched three times and only assisted one vessel. In 1896 the boat was withdrawn. Information for this article was taken from RNLI sources, The Chronicles of Dartmouth by Don Collinson and the Dartmouth Museum. The Health and Safety group within the Dartmouth Market and Coastal Town Initiative was chaired by Rev. Simon Wright, Vicar of Dartmouth. As a member of the group Dr John Fenton was asked to write to the RNLI in April 2004 with a proposal that a lifeboat should again be stationed in the town after a gap of 111 years. The RNLI responded that Dartmouth was at the top of their list of possible new stations and they had only been waiting for signs of local support for them to proceed. 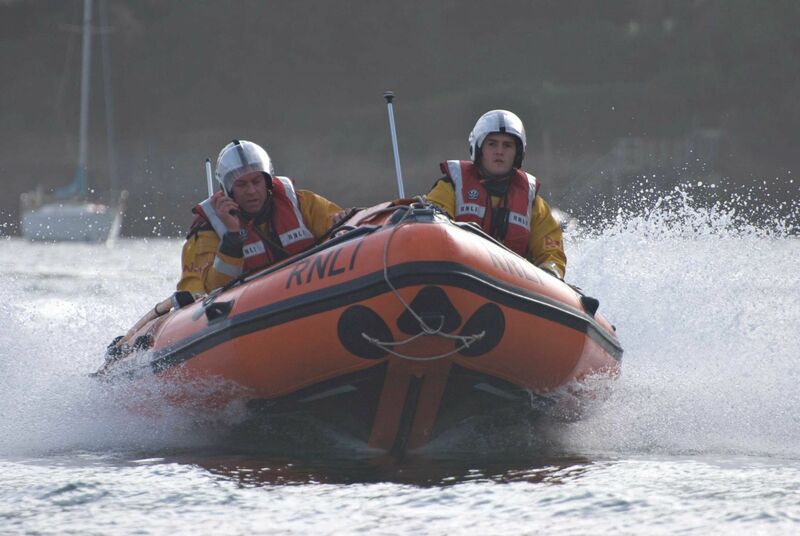 At the request of Simon Pryce, RNLI Divisional Inspector, John held meetings at the Royal Dart Yacht Club, the Dartmouth Yacht Club and the Dartmouth Amateur Rowing Club asking for volunteers and received an enthusiastic response. On 10 August 2004 there was a set-up meeting held at the DYC with Simon Pryce, Claire Blight, RNLI Area Fundraising Manager and Tamsin Thomas RNLI Media Relations Manager. Many volunteers came forward including Rob Clements who volunteered to be the Lifeboat Operations Manager. 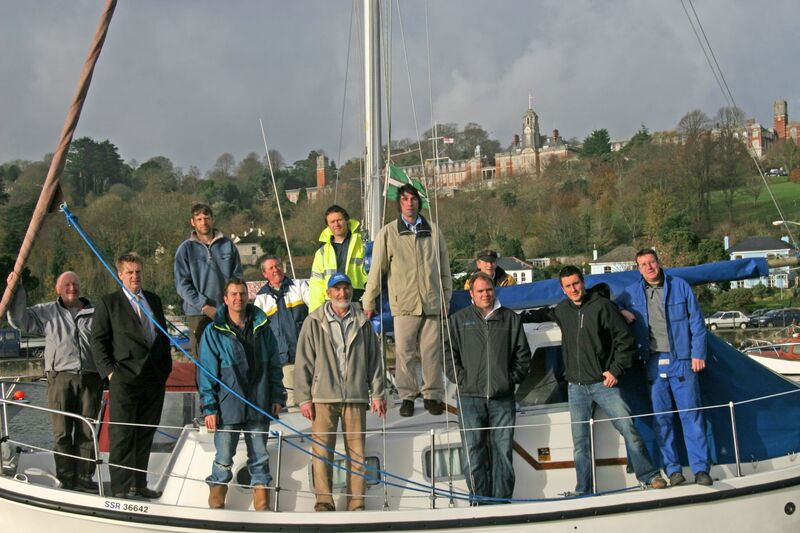 On 22 Nov 2004 the inaugural meeting of the Lifeboat Management Group took place. Simon Pryce was present and the local volunteers were Tony Bradley, Chairman, Rob Clements, Lifeboat Operations Manager, Paul Weedon, Operations Treasurer, Dr. John Uhr-Delia, Lifeboat Medical Advisor and Dr. John Fenton, Lifeboat Press Officer and Administrator. Members of the LMG visited Rock Lifeboat Station, the latest inshore lifeboat station to become operational, in order to give them an idea of what to expect. At this point none of the LMG had any experience of volunteering with the RNLI and a local fundraising team had yet to be established. In July 2006 an Appeal was launched to raise £205,000 to set up the station with a boathouse, crew equipment, an inshore lifeboat and a tractor and trailer. 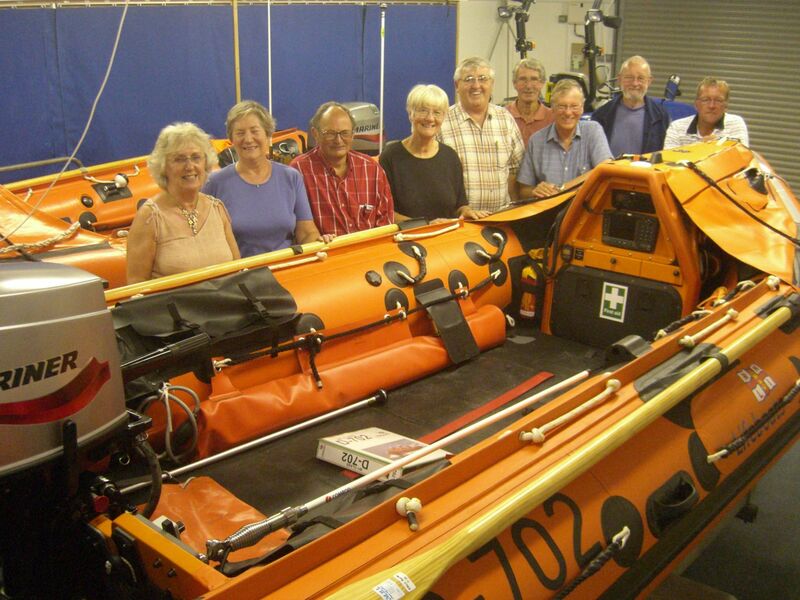 A local fundraising team was set up under the chairmanship of Terry Knight, ably assisted by Rosemary Gifford and her RNLI team of fundraisers in Totnes and under the guidance of David Hannah, RNLI Appeals manager. Mr Mike Felton of Caterfood kindly donated £29,000 to buy the boat. The Hadley Trust which has close links to Dartmouth donated £25,000 to purchase the crew’s clothing. By the time the boat had become operational 15 months later £183,000 had been raised and the Appeal continued until the original target was reached. Much time and energy was spent in trying to find a suitable site for the lifeboat station. In all 11 different sites were examined, some in great detail, before they were found to be unsuitable or were withdrawn by their owners. 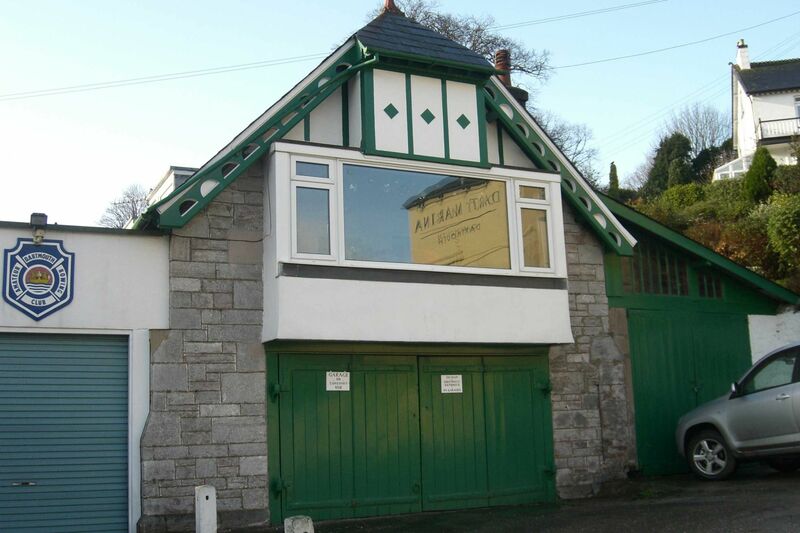 South Hams District Council offered the site of the disused Play School on Coronation Park. A petition drew over 2900 signatures in support of the plans and the full Planning Committee of the SHDC passed them by 18 votes to 0, with one abstention. Three years after the set-up meeting Bob Savage, D520, originally the inshore lifeboat at Aldeburgh, arrived for the crew to begin an intensive period of training on the water. The partially prefabricated timber lifeboat station was built by Shields Buildings of North Tawton and erected in mid-September 2007. The station was declared to be operational on 27 October 2007. On the same day the Trustees of the RNLI declared that the new lifeboat would be known as the Dart lifeboat, acknowledging its close connection with all the riparian parishes on the Dart up to and including Totnes. Aspiring volunteers for the Operations Team on Rob Clements yacht. 27 Nov 2006. L to R Tony Hoile, Andy Carter, Yorkie Lomas, Kevin Murphy, Rob Clements, Mark Strudwick, Ian Watton, Chris Tracey, Peter Fleming, Jamie Mathys and Tony Chapman. 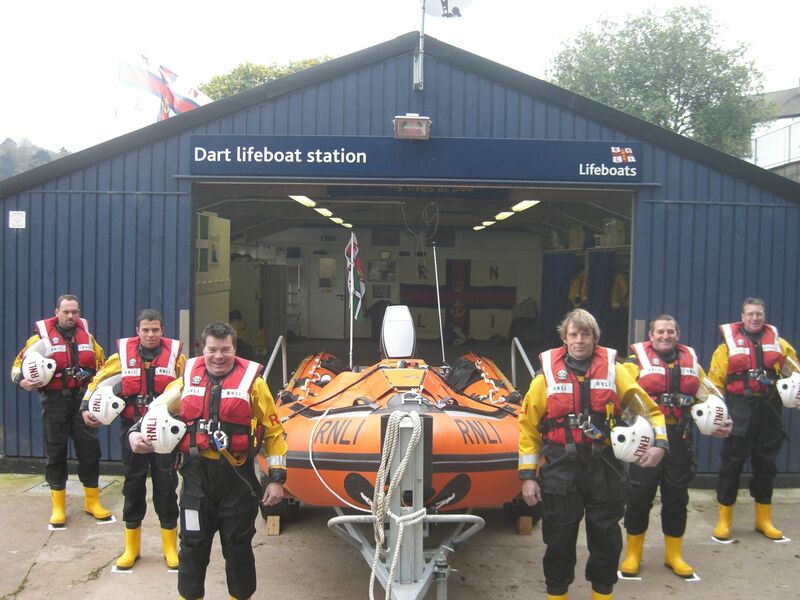 Some members of the Dart Fundraising Branch in the Lifeboat Station with the brand new D class D702 in July 2008. L to R Sandra Knight, Diane Leighton, Alan Sherratt, Jane Hattersley, Terry Knight, Colin Myers, Brian Leighton, Bob Hattersley and Gordon Pepperell.